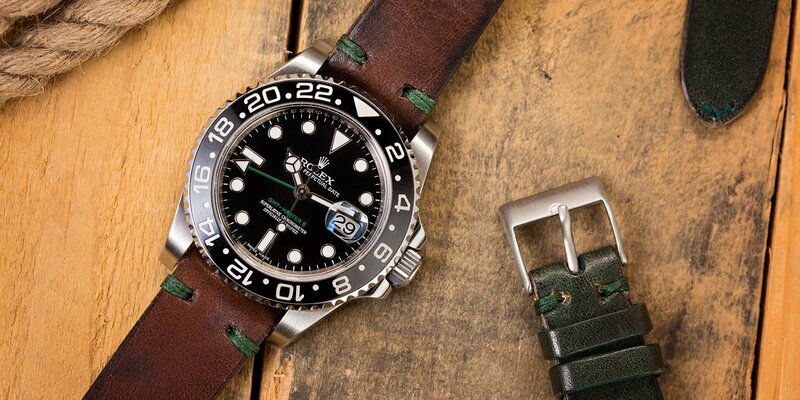 Historically, the GMT-Master II and the Explorer II have always been very similar watches. Although there are a number of small details that separate the two watches, the Explorer II was essentially a GMT-Master II with a fixed stainless steel bezel. 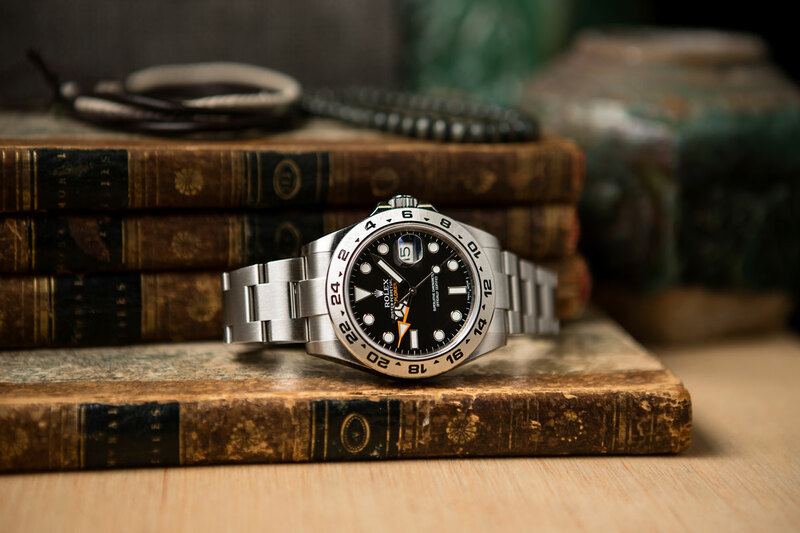 Despite their longstanding similarities, the most recent incarnations of the GMT-Master II and the Explorer II, the reference 116710 and the reference 216570, respectively, are very different watches that reduce the overlap of Rolex’s two multi-time zone watches. Do you know that differences between the GMT-Master II and the Explorer II? 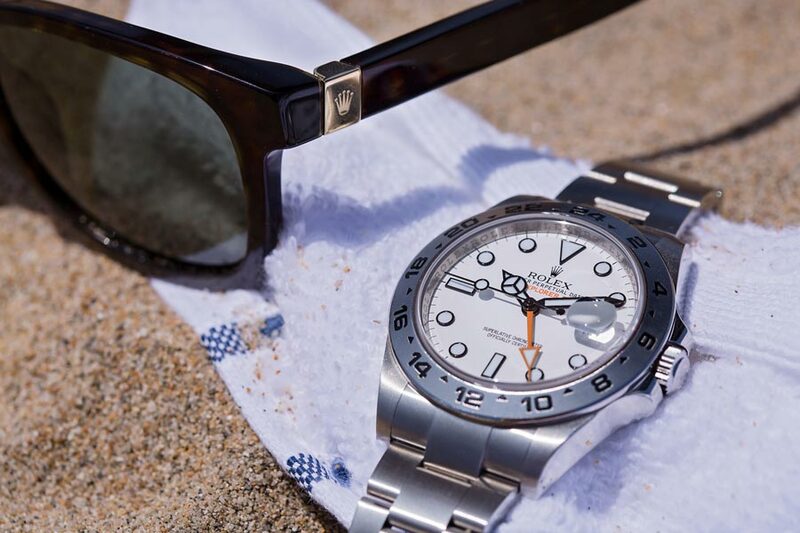 For much of its history, Rolex’s Explorer II line has stood in the shadow of its older brother, the GMT-Master. Although the very first Explorer II (the reference 1655) had a significantly different aesthetic than the GMT-Master, subsequent iterations of the two watches brought the lines increasingly closer together, until the only real differences were the bezels, and the option of a white dial for the Explorer II. 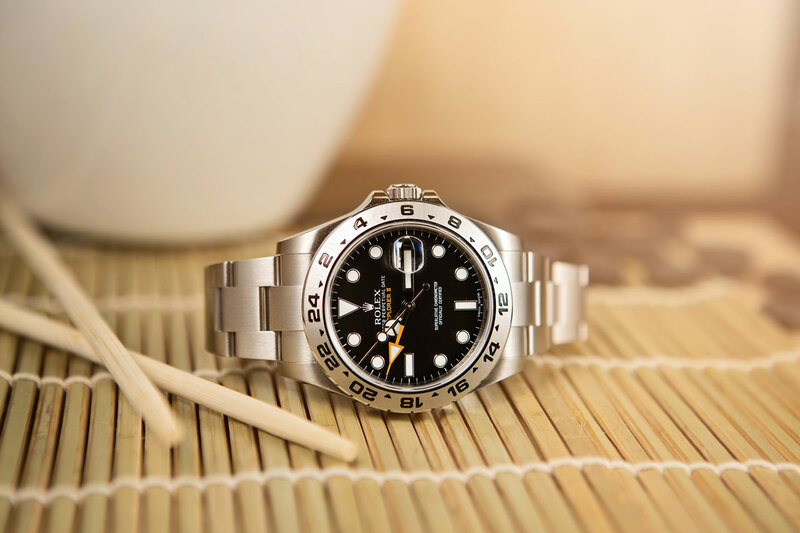 The similarities ended in 2007, with the release of the reference 116710 GMT-Master II, which completely redesigned Rolex’s original, multi-time zone watch. 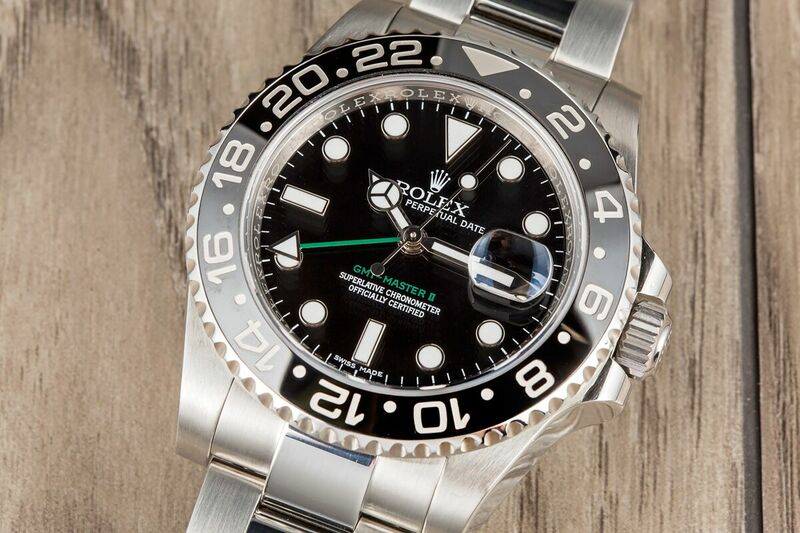 The reference 116710 is still 40 mm in diameter; however it uses Rolex’s “super case” that has thicker lugs and crown guards for a more bold and aggressive overall appearance. The Explorer II is equipped with an aluminum bezel as opposed to the ceramic bezel on the GMT-Master II. Instead of aluminum, the bezel insert on the reference 116710 is made from Cerachrom, Rolex’s proprietary ceramic compound that is both scratch and fade resistant. Additionally, the face of the watch has been refreshed with a new “Maxi” dial and handset that features the watch’s “GMT-Master II” name and 24-hand in green to match Rolex’s company colors. When the Explorer II was given an update in 2011, the new reference 216570 was entirely redesigned to be its own unique watch, rather than just a GMT-Master II with a different dial and bezel. Instead of using the same 40 mm “super case” from the GMT-Master II, the reference 216570 uses a 42 mm case that completely sets it apart form the other models that make up Rolex’s sports watch lineup. The dial and hands of the reference 216570 Explorer II also received a redesign, to further help visually set the watch apart. For much of the Explorer II’s history, its 24-hour hand was directly borrowed from the GMT-Master II line. Rather than continuing with this trend, the reference 216570 features a large, triangular 24-hour hand that is colored bright orange – in homage to the original reference 1655 Explorer II from the 1970s. Additionally, the dial of the reference 216570 features the “Explorer II” name in orange paint to match the orange color of the new 24-hour hand. Does the 24-Hour hand look better on the Explorer II or the GMT-Master II? The reference 116710 GMT-Master II and the reference 216570 Explorer II are both 4-hand, date-displaying, multi-time zone watches. Historically, the GMT-Master II and Explorer II were fitted with the same exact movement since both watches required the same functionality. However, their most recent incarnations, the reference 116710 and the reference 216570 actually receive different movements. The reference 116710 GMT-Master II receives Rolex’s in-house Caliber 3186 movement, while the reference 216570 is fitted with the Caliber 3187. In terms of their actual features and functions, the two movements are virtually identical. Both movements are certified Swiss chronometers, and both are fitted with Rolex’s proprietary, blue Parachrom hairsprings. However, the Caliber 3187 is also fitted with Rolex’s in-house, Paraflex shock absorption system for greater resistance to shocks and other harmful impacts. The insides of these two watches are virtually identical with only 1 difference. On the original versions of the GMT-Master and the Explorer II, the hour hands were not independently adjustable, so the only way to display a second time zone was by rotating the bezel and using the 24-hour hand for reference. Since the bezel does not rotate on the Explorer II, the bright orange, 24-hour hand of the original version was no more than a large AM/PM indicator. Both the Caliber 3186 and the Caliber 3187 movements allow the 12-hour hand to be set independently from the 24-hour hand, enabling the reference 116710 GMT-Master II and the reference 216570 Explorer II to simultaneously display a second time zone. Additionally, both watches have 24-hour bezels for use with their GMT-functions; however the bezel on the GMT-Master II rotates to enable simultaneous access to a third time zone. Lastly, both the reference 116710 GMT-Master II and the reference 216570 Explorer II have brightly colored 24-hour hands that match the watches’ names printed on their respective dials. These details are done in green on the reference 116710, while the reference 216570 receives them in bright orange (on both black dial and white dial versions) to match the watch’s large, triangular 24-hour hand. The GMT-Master was originally developed for pilots flying high above the clouds on transatlantic flights, while the Explorer II was intended for speleologists exploring caverns deep below the earth’s surface. Despite their very different intended environments, these two watches have historically been very similar, with certain iterations only differing by the type of bezel that was fitted to the watch. 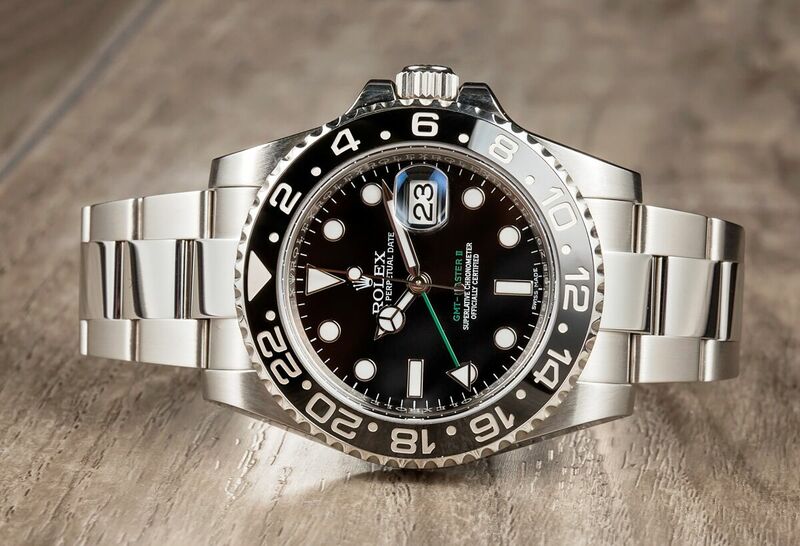 The most recent incarnations of the GMT-Master II and the Explorer II are significantly different watches, each occupying its own, unique place within Rolex’s lineup of highly specialized sports watches. Which watch do you like better? This GMT-Master II or the Explorer II? Comment below.